Since 1945, the law firm of Wagner & Wagner Attorneys at Law has been advocating for the rights of people injured by the negligent actions of others. 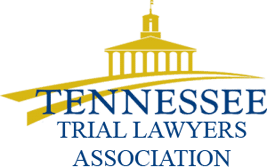 Our skilled Chattanooga personal injury attorneys have set themselves apart with a tradition of excellence and dedication to each of our clients. Drawing on our substantial experience, we have the skill and knowledge needed to handle complex legal matters in many areas of personal injury law, as well as in workers’ compensation, probate and business law. You can trust our firm to get you the results you deserve. Catastrophic injuries. Certain types of injuries, such as spinal cord injuries, burn injuries or traumatic brain injuries, can have a lifelong effect on a victim and his or her family. 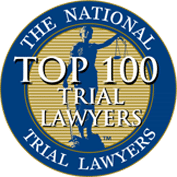 We call these catastrophic injuries, and we provide comprehensive counsel to clients whose lives have been irreparably changed after an act of negligence led to this type of harm. Nursing home neglect and abuse. We diligently work to secure compensation for the physical and psychological injuries that result when nursing homes and elder care facilities neglect and abuse the individuals in their care. Premises liability. When individuals are injured by harmful conditions on another’s property, our lawyers seek compensation from the responsible party. While slip and falls are the most common types of premises liability injuries, we also handle accidents caused by negligent security. Product liability. You trust the products you buy and use to work in the manner intended. When these products cause injury, our attorneys help you through the legal process of seeking a fair monetary award. Wrongful death. The unexpected death of a loved one can result in staggering financial challenges. We work with families to secure compensation for the tragic harms caused to them. Car crashes. After a car wreck, we provide injury victims with knowledgeable and trustworthy guidance through this challenging time in their lives. Truck accidents. Large tractor trailers can be extremely dangerous on the roadway. When truck owners and operators fail to follow safety regulations, injured parties trust us to advocate for their rights. Motorcycle wrecks. Motorcyclists are at an increased risk of harm on the roadways. We work to hold individuals responsible when their negligent actions cause harm to motorcycle operators. Collisions with pedestrians and bicyclists. Pedestrians and bicyclists often face severe injuries when hit by a vehicle. Our lawyers work hard to ensure that our clients can afford the costs of necessary medical care. Mass transit crashes. We are not afraid to take on government entities when their public transportation vehicles cause injury. If you were injured in a bus crash or on a train, we can help. Recreational vehicle collisions. When recreational vehicle owners and operators act in a negligent manner, we hold them accountable for the harms they cause. We also handle cases involving boats, jet skis and other watercraft. Serious workplace injuries. Some workplace injuries prevent the injured party from continuing in the same line of work. We consider the long-term effects and work to ensure that the employer provides adequate compensation for necessary care. Construction and industrial accidents. Construction and industrial worksites can be extremely dangerous for employees. Injuries occurring within these settings can be severe and costly. Long-term effects of workplace injuries. Long-term injuries, such as nerve damage or Reflex Sympathetic Dystrophy, are commonly associated with workplace accidents. We make sure that these potential consequences are part of the conversation when advocating for adequate compensation. Probate administration. Our lawyers guide you through the probate process to help you ensure that your loved one’s wishes are carried out appropriately. Probate litigation. If an individual or group of people chooses to challenge the provisions of a will or trust, our reputable attorneys assist with all aspects of probate litigation. Wills. We help clients create simple wills and effectively represent families when wills are contested. Business and commercial law. Our team assists with a wide variety of transactional and litigation-based matters to protect your company, your shareholders and your interests. Bankruptcy law. Working with an experienced bankruptcy lawyer provides you with the best chance at obtaining the debt relief you need. Social Security Disability. When a serious injury leaves you permanently disabled and unable to work, our skilled team helps you protect yourself and your family. 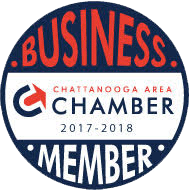 The Chattanooga lawyers of Wagner & Wagner Attorneys at Law are ready and willing to assist you with your legal needs involving personal injury, worker’s compensation, probate, bankruptcy, Social Security Disability and business law. Call us today at 423.799.3532 or complete our contact form for a free assessment of your case. We proudly serve clients in Cleveland and Chattanooga TN, in North Georgia, and all surrounding counties.